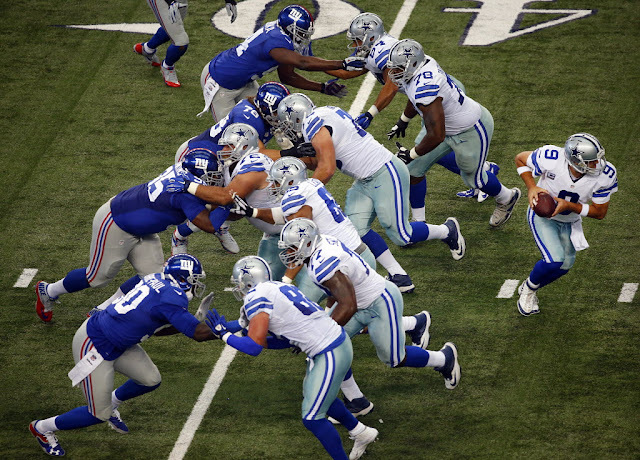 Among some fans and analysts this offseason, there’s been a growing perception that the Dallas Cowboys’ offense is due to take a step back in 2015. The Cowboys finished seventh in the NFL in total offense a season ago, thanks to one of Tony Romo’s better seasons and an absolutely sensational effort from DeMarco Murray. During the offseason, however, Murray had departed to join the Eagles and much of the public has slowly settled back into the familiar opinion that Romo and the Cowboys are unreliable and doomed to mediocrity. I’m not so sure. In fact, I think there’s actually reason to believe the Cowboys’ offense could be better in 2015, even without Murray. If you’re a Cowboys fan, you’re probably pretty used to this argument by now, but it can’t be said enough: the Cowboys have arguably the best offensive line in the NFL, and that had a great deal to do with DeMarco Murray’s incredible 2014 numbers. That’s not to disrespect Murray or discount his talent, but it’s an undisputed fact that system, blocking and spacing have a lot to do with the success of a rushing attack. Those aspects of the Cowboys’ run game won’t change in 2015, so while Murray will be missed, it probably won’t be as bad as some expect. Despite my first point, it’s still important that a talented runner be available to take advantage of the opportunities provided by a dominant o-line, and that’s where Joseph Randle comes in.  The Cowboys are, for whatever reason, keeping up a charade that there will be a competition for the starting running back position, having signed Darren McFadden and retained Lance Dunbar. But McFadden is already hurt, and there’s not much question who’s more talented between Randle and Dunbar. In 51 attempts in 2014, Randle racked up just under seven yards per carry, which is pretty ridiculous even in limited action. 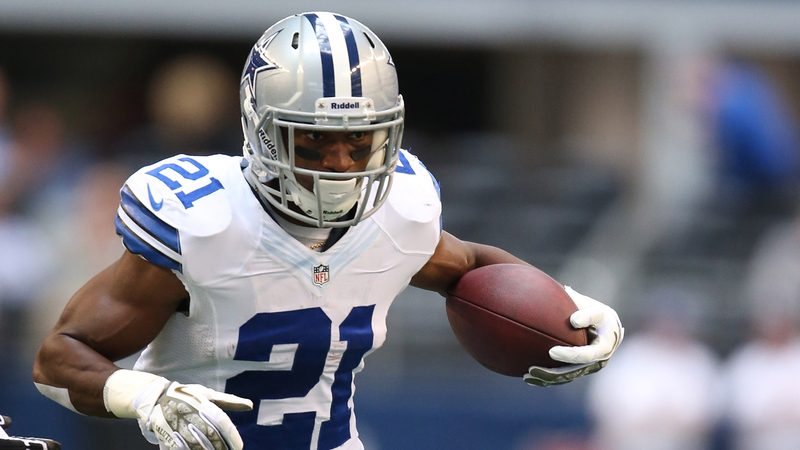 He’s only 23 years old, and he’s more prepared today and better suited for the future than either McFadden or Dunbar. He won’t be better than Murray, but he could be better than most other running backs in the league. 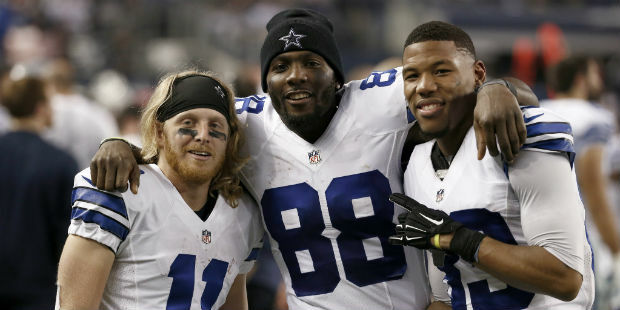 Dez Bryant is so good that a lot of people forget how talented Terrance Williams and Cole Beasley are. 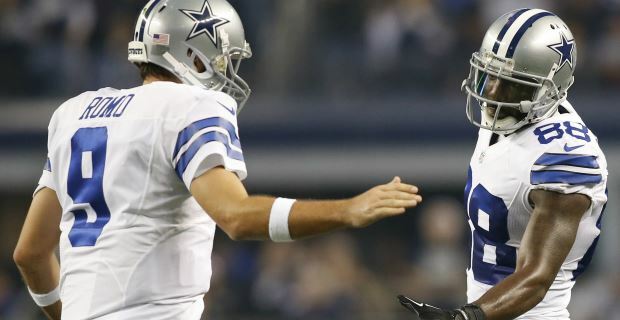 Neither of those two will ever put up gaudy numbers, but they always seem to make the plays Romo asks them to in crucial situations, and they’re both still around in 2015 (along with Bryant, who doesn’t need anybody to make his case). But where Dallas has actually improved its receiving corps a bit is with the expected introduction of Devin Street to the depth chart. The 6-foot-3 second-year player didn’t see much run as a rookie in 2014, but he’s a very gifted player who entered the NFL with the all-time receiving record at the University of Pittsburgh. I don’t think there’s much opportunity for a young wide receiver to emerge as a star with all the attention Bryant commands, but Street could become yet another rock solid piece of support alongside Williams and Beasley. 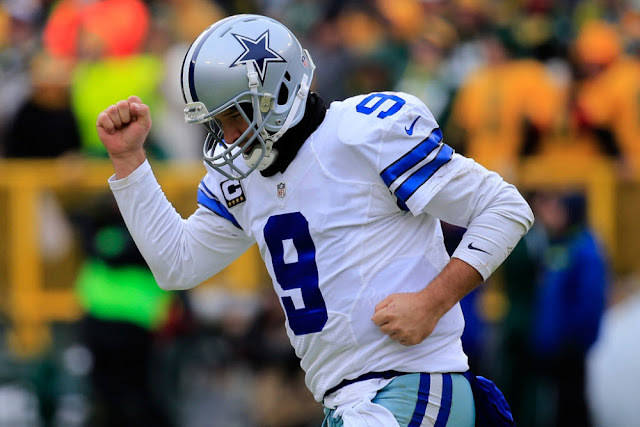 Tony Romo is already 35 years old, but I’d argue he’s just entered his prime. In part, this is because he posted his highest ever completion percentage in 2014, along with his highest touchdown total since 2007, and the second-lowest number of interceptions in his career. It’s also due partially to the fact that he’s throwing to one of the top wide receivers in a generation in Dez Bryant, and has a dominant rushing attack to lean on in diversifying his own passing attack. But the biggest reason I’m buying Tony Romo is confidence. 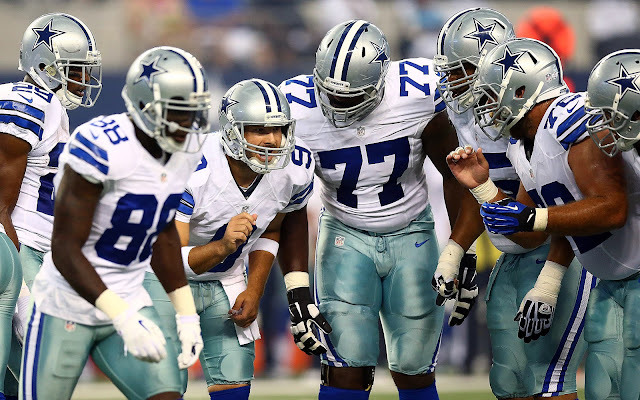 In 2014 the Cowboys finally became the true contender people have been predicting they’d be for years. They made a respectable playoff run only to be cut short by what many saw as a blown call, and they’ll be hungry to improve upon that result. I think Romo’s gotten over the hump, and he has the weapons to put together a truly special season. Finally, there’s the schedule, which is a little bit difficult for a potential playoff push but otherwise extremely appealing to the Cowboys. I’ll put it this way: in the 16 games scheduled for 2015, Dallas will face only four teams that ranked in the top-10 in total defense last year (and will face each of those teams only once). Furthermore, they don’t face any such teams in the first seven weeks (one of which is a bye). There are quite simply a lot of teams on the schedule that this Dallas offense can annihilate, and the soft opening weeks in particular will give Romo and Co. a great opportunity to get into a rhythm.